A & G Smog is a testing only service center that performs necessary smog testing for vehicle registration in the state of California. Our company is licensed and certified to provide professional inspections that can be utilized for locating areas within the vehicle that may be causing high levels of pollution from being emitted into the environment. It is the mission of our company to ensure that when faced with these testing needs, our friends and neighbors throughout Santa Rosa and surrounding communities have honest, dependable, and affordable solutions for their needs. At A & G Smog, we will always go the extra mile for our customers’ needs. If for some reason we are unable to provide the smog inspection services that are required for your specific needs, we will help you locate a reputable technician within your area that can. 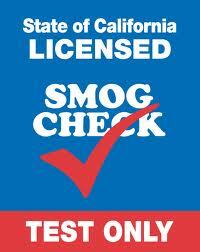 A & G Smog is a testing only smog service provider. While we cannot perform repairs within our facility, we can provide you with information about repair technicians that can provide you with positive results. So before you get in over your head and visit a testing center that will cost you unnecessary time, money and stress, stop by our center today.